Sure, it’s not always this dramatic or extreme, but when it snows it generally puts a damper on everyone’s plans. Not a whole lot of people like the cold, except for the children who get the day off when school is cancelled. What I’m getting at here is that the ability to control snow and ice makes for a fantastic super villain power. Sure, there are plenty of superheroes who can control snow and ice, but if you ask me it makes for a much more…chilling power in the hands of the bad guys. 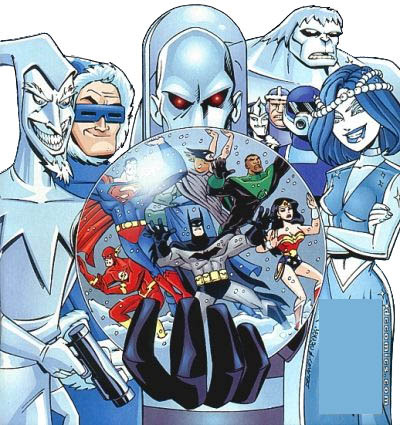 But while they may be two of the greatest villains around, they weren’t the first ice themed super villains in comics. That honor belong’s to a Wonder Woman villain named Minister Blizzard. Side note: if anyone knows about an ice powered super villain who was published before this guy, please let me know. Minister Blizzard made his first appearance in Wonder Woman #29 in May of 1948. 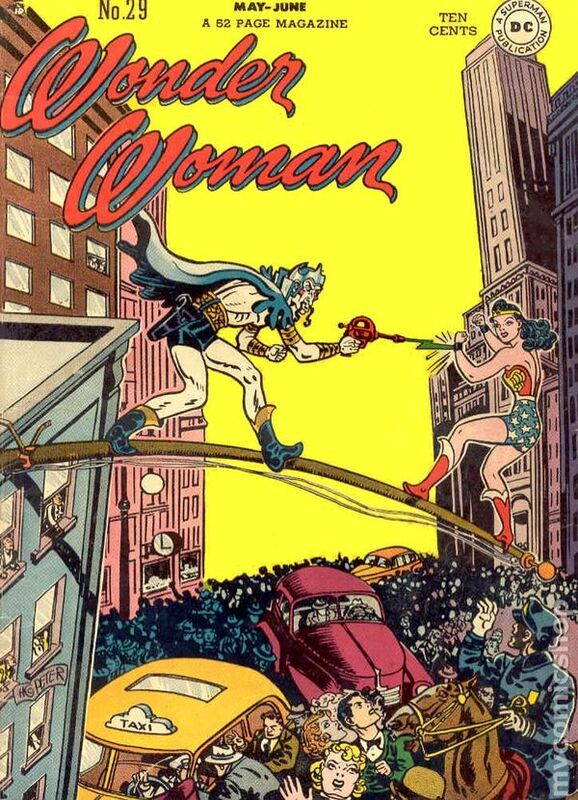 The script was written by Wonder Woman’s creator: William Moulton Marston and the art was done by early Wonder Woman artist Henry G. Peter. The story starts off with a scientist named Professor Chemico (gee, I wonder what he specializes in) traveling to the North Pole to test an invention that can control the climate of a surrounding area. His intention is to raise the temperature of the North Pole in order to turn it into a warm and fertile place for humans to live. This is hilarious when you consider that in any modern comic, this man would be a very clear cut villain. However, despite the comic’s positive spin on global warming, it turns out that the actions of the protagonist will wind up causing a considerable amount of damage because there are already a group of people living in the fictional location of Iceberg Land at the North Pole. The people are led by the princess Snowina (groan!) and her Prime Minister is Minister Blizzard. At the start his intentions seem pure. He helps protect his people from the seeming advances of the foreign invaders by capturing and freezing them. However, it turns out that he’s a bit power hungry and decides to take the Professor’s machine and use it to take over the world. He attempts to threaten New York with a giant glacier, but Wonder Woman manages to stop him in time. He’s captured, returned to the custody of the Ice People, and relations are repaired between the two civilizations. He only had one appearance in the Golden Age books, but he would actually go on to have a fairly long and decent career in the later years. His next appearance was in 1966 in Wonder Woman #162 where he tried to repeat his plan to take over New York by freezing it over. 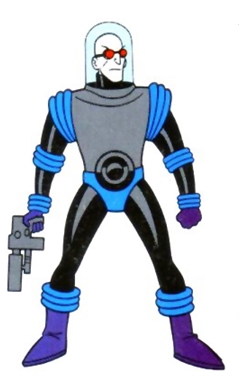 He even joined a bunch of other ice themed villains in an attempt to freeze and blackmail Ecuador. It turned out that the group had been formed to be a distraction for a much larger crime going on. He would even make a few small modern appearances and this time the writers actually made him into an environmentally minded villain who was hellbent on creating another Ice Age. More recently, he has even had the honor of getting the stuffing beaten out of him by Batman in DC’s recent Rebirth series of comics when he tried to stop a billionaire from creating what he called a “fake winter town”. Minister Blizzard could be considered a small, one time super villain, but he has certainly gotten around. 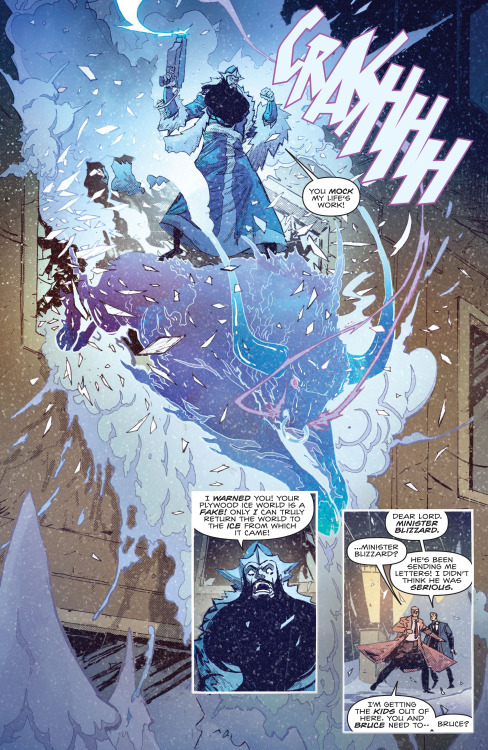 As one of the first super villains with the power to control ice and snow he deserves a place in comic book history and a spot in the pantheon of DC comic book villains.